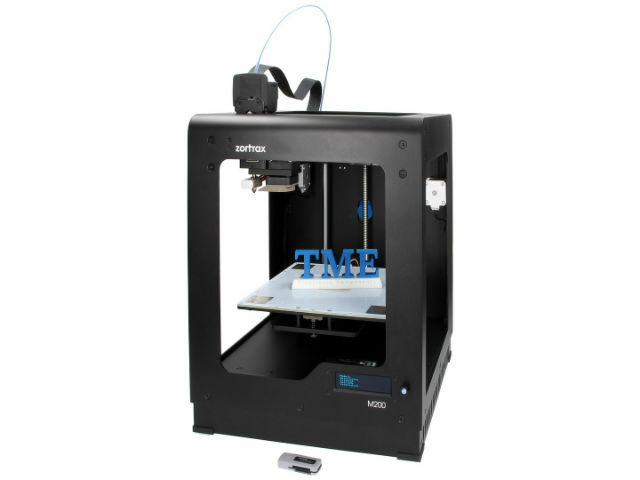 TME’s offer now features the first 3D Printer (ZRX-M200) from ZORTRAX — a leading manufacturer of professional 3D printing solutions for business and enthusiasts. The high quality components and LPD (Layer Plastic Deposition) technology enable printing objects with accuracy up to 90 microns. The set includes a user manual, the Z-Suite application for professional use, all the necessary tools, and a filament roll. Additionally, TME’s offer includes printing materials from ZORTRAX for this particular model: Z-ABS, Z-HIPS, and Z-ULTRA, available in a wide range of colours. Optionally, the printer may be equipped with side covers that damp the noise and ensure higher temperature in the printing chamber. The printer is delivered in a fully-assembled state, ready to use.